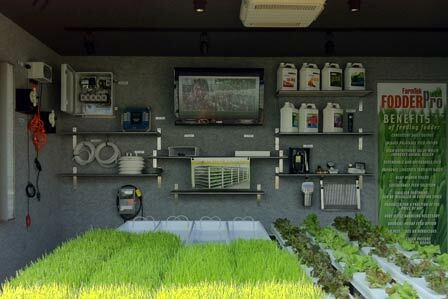 With onsite training from FarmTek, groups will gain the right skills and knowledge to grow hydroponic fodder successfully and maximize the investment on their farms. 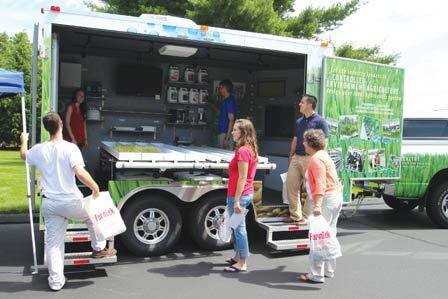 Our mobile fodder training gives groups and organizations an opportunity to work with a FodderPro Feed System and receive hands-on instruction from one of our knowledgeable fodder specialists. Learn the ins and outs of producing fodder from seed preparation, system sanitization and environmental controls to tending, harvesting and feeding fodder and more. Groups will receive personalized training with the ability to ask questions and gain valuable experience that is applicable to their farms or operations. If an onsite visit isn’t ideal for you, we offer many other opportunities to learn about fodder, including our CEA Hands-On Workshops and private or group tours. Our CEA Hands-On Workshops are offered several times a year at our CEA Learning Center West in Dyersville, Iowa and our CEA Learning Center East in South Windsor, Connecticut. Our free tours are offered Monday, Wednesday, Friday at 10 AM and 2 PM or by appointment. For more information about our workshops and tours or to learn how to register for these events, please visit FarmTek.com/CEALearningCenter. Call 1.800.201.3414 to schedule a fodder training session!